Winter is just about my favourite season for photography especially with a coating of frost and the sugar dusting of snow atop the distant peaks revealing the colour on the slopes lower down. 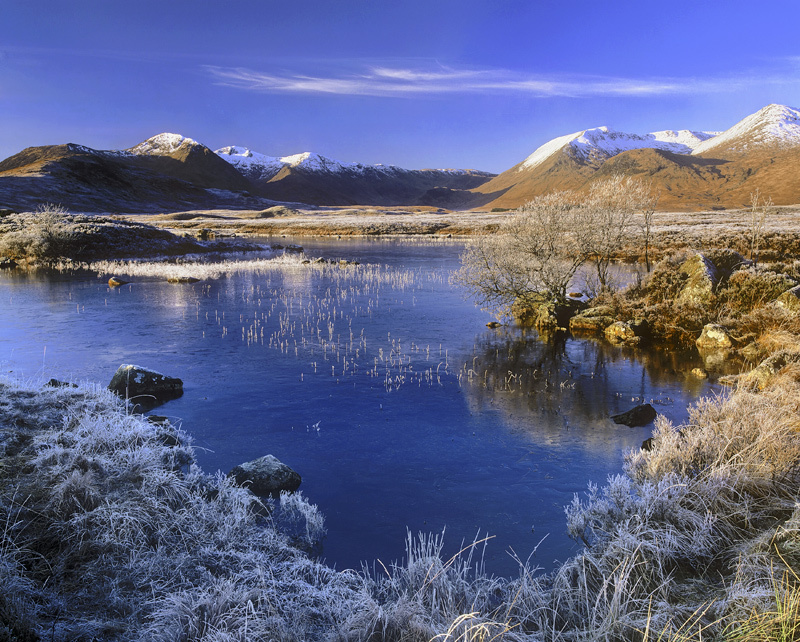 Unsurprisingly a rich blue cloud flecked sky and a mirror reflection go along way to making the shot pristine and that is precisely what I experienced this very fine morning while out with a group of photographers on a winter Glencoe course. The composition chosen sucessfully encapsulates all the elements I wanted to show and shows a fine mix of hot and cool colours.